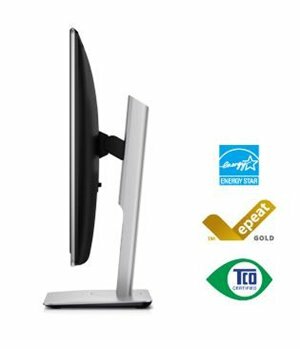 Dell UltraSharp UZ2315H 23-inch Full HD LED Monitor Res 1920x1080, Resp Time 8ms. 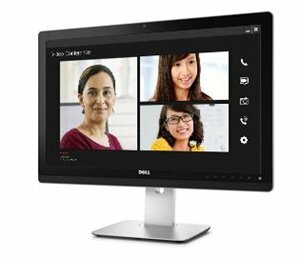 With the Dell UltraSharp 23 multimedia monitor, you get a complete multimedia configuration that makes it easy to collaborate with colleagues and improve productivity. Modify your monitor to fit the way you work for more flexible viewing, plus comprehensive digital connectivity. Made with premium-quality materials, the UZ2315H has BFR/PVC-free laminates in its circuit boards and has arsenic-free glass and a mercury-free LED panel. The chassis is made of more than 25 percent post-consumer recycled plastics. Video conference from your desk with a fully adjustable 23-inch multimedia monitor that features a webcam and wonderful speakers. Experience enhanced viewing with HDMI (MHL) connectivity, so you can display content from smartphones and tablets on your monitor screen for superior viewing. Maximize comfort with adjustability features and built-in cable management so you can view the way you want. Tilt 5.5° forward or 21° backward, swivel left and right 45°, raise up to 125 mm or pivot 90° clockwise for portrait view. Customize the monitor to your ideal position so you can be more productive and efficient. Connect easily to your desktop, laptop or other peripherals with digital connectivity ports, including DisplayPort, HDMI (MHL), VGA and USB 3.0. 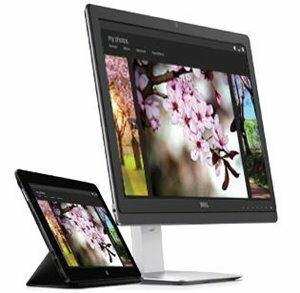 The Dell UltraSharp 23 Multimedia Monitor UZ2315H meets the latest regulatory and environmental standards.